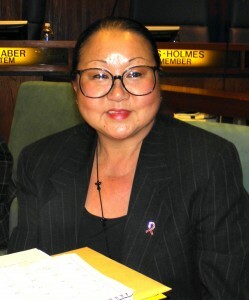 CARSON — The Carson City Council has named Donesia Gause as the new city clerk, replacing longtime City Clerk Helen Kawagoe, who left office in December for health reasons. Gause, an analyst in the Long Beach City Clerk’s Office, was appointed by a vote of 3-0 at a Feb. 28 City Council special meeting, over three others who were also on the council’s short list of candidates. Voting were Mayor Pro Tem Julie Ruiz-Raber, Councilmember Lula Davis-Holmes and Councilmember Mike Gipson. Mayor Jim Dear and Councilmember Elito Santarina were not present. The position has been vacant since Jan. 1 following Kawagoe’s retirement and resignation at the end of 2011 after serving as city clerk for 37 years. Under the Government Code, the City Council must either appoint an individual to the position or call a special election within 60 days after the position has been rendered vacant. The 60-day period elapsed at midnight Feb. 29. On Jan. 17, the City Council unanimously voted to appoint a city clerk as the means to fill the vacancy in lieu of a potentially expensive special election. It also directed staff to invite qualified residents to apply for the vacant full-time position, which pays a salary of $115,956 plus benefits. Ten individuals submitted an application for the position, but only six attended the initial screening process held as part of the City Council meeting on Feb. 21. The council narrowed the list down to four — Wanda Higaki, Kawagoe’s deputy for over 30 years; former Carson Mayor and Councilmember Vera Robles DeWitt; Quiana Williams, an aide to Assemblymember Warren Furutani; and Gause. 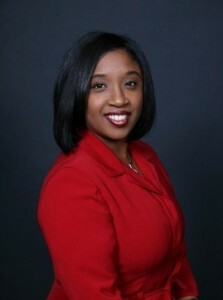 Gause is a certified municipal clerk who worked as deputy city clerk for the City of Compton prior to joining the City of Long Beach in 2003. The City Council interviewed all four finalists at length and in the end, selected Gause. Gause, who was sworn into office by City Attorney William Wynder immediately after the vote, will serve the remainder of Kawagoe’s four-year term, which began in March 2011, and must run for re-election in March 2015 if she chooses to continue to serve. “I am confident that you will find Ms. Higaki to be the ideal candidate because she possesses exceptional qualifications, outstanding work ethics, and the necessary skills and abilities for the position of city clerk. Ms. Higaki has been my loyal chief deputy for over 31 years, and I know that she is worthy of the public’s trust because of her honesty, integrity and commitment to the City of Carson. This is evident in her many years of dedicated employment along with the volunteer hours that she has spent in the City of Carson. Also speaking in favor of Higaki were Tommy Fa’avae of the Environmental Commission, Kanji Sahara, Janice Schaefer of the Planning Commission, Raul Murga of the Imperial Carson Mobile Estates Homeowners Association, and Harold Williams, former councilmember. Higaki’s supporters, including the mayor, had been lobbying to have her appointed without seeking other applicants. DeWitt, a resident of Carson for over 48 years, emphasized her experience as mayor and councilmember for a combined total of 10 years, a business owner for 40 years, a homeowner and a commercial property owner. Williams introduced herself as a 28-year, third-generation resident of Carson who is currently working as Furutani’s field representative in that city. In addition to the four finalists, the council heard from Angel Garcia, a retired Federal Reserve employee, and Nora Momoli, who was a grants and contract analyst for UCLA. Video of the Feb. 21 meeting is available on the city’s website at http://ci.carson.ca.us/content/videoarchive.asp, but no video of the Feb. 28 meeting has been posted.